With winter in the books here in Colorado, it’s time to start thinking about the 2016 fly fishing season. We’ve already had great late winter and early spring fly fishing on the rivers around Vail, Colorado and we are looking forward to the rest of the year. 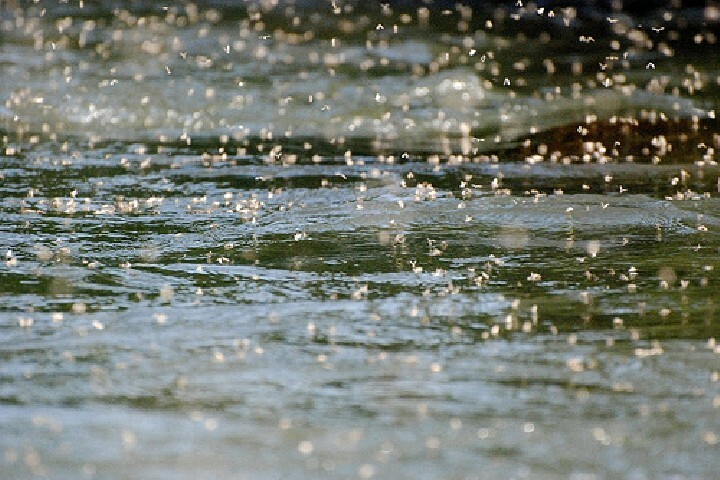 Signs are pointing towards awesome fly fishing conditions for the next several months. A good year of fly fishing in Colorado is very weather and snow pack dependent. Currently, our snowpack in the Colorado River drainage is sitting right at normal. There’s still plenty of snow up high to keep things in good shape throughout the summer. Expect an average spring runoff with high flows for several weeks from mid-May through mid-June. Colorado’s reservoir levels are generally in pretty good shape which will help to keep summer stream flows at ideal levels. A series of mild winters has also led to good fish recruitment and survival. Mild winters result in less anchor ice which can kill significant numbers of fish. Spawning recruitment has been good for several years and the age class structure in all of our area streams is very good with catches ranging from one year-old 8-9 inch fish on up to trout in the 20 inch class that are several years old. The fishing on the Eagle River has steadily improved over the last ten to fifteen years and is now at the point where this Colorado freestone river has to be considered on the state’s best fisheries. It’s not always on the radar because it takes a back seat to streams like the Frying Pan or Blue which have declined in quality with less fish and smaller overall size while the Eagle has only improved with fantastic numbers of trout averaging 14-16”. Fish populations are at their highest in years with a pretty even mix of brown trout and rainbows with the occasional cutthroat. More big trout in the 20-26” range have been landed on the Eagle in the past couple of years than ever and we expect this trend to continue. Bug life is great with strong hatches of BWOs, caddis, PMDs and yellow sallies. Flows should be good this summer with enough but not too much snow. All of this points towards a great 2016 fly fishing season on the Eagle River. The Fork is Central Colorado’s “Old Reliable” with a Gold Medal designation that is the result of a healthy river with a great trout population and diverse insect hatches. Trout numbers in the Fork have remained steady for decades. There’s a ton of browns and rainbows in the 12-16 inch range and anglers can expect to land a few 18-20 inch trout. Snowpack in the Roaring Fork drainage is good and runoff may start early this year with a warmer than average spring. This could result in great fishing a little earlier than usual. In years when runoff subsides early, look for fantastic fishing during the Green Drake Hatch which could begin as early as mid-June. Plan on a great conditions through most of summer on the Fork and hope for cooler conditions later in August when warmer water can slow things down. By early fall, the Fork will be back in prime shape. The upper Colorado River from Pumphouse down to State Bridge, Catamount and Dotsero may offer the best fly fishing in the state this year. This river has been through a series of ups and down over the past 20 years. Once, before whirling disease took its toll in the 90’s, it was the state’s premiere wild rainbow trout fishery. It bounced back with healthy brown trout populations and some excellent fishing for several years but had some challenges due to drought years and water management issues. For the past few years, the Upper Colorado has been nothing short of amazing. Good snowpack, strong runoffs, steady summer flows, and thick hatches and booming trout populations have made the Colorado River one of the state’s best fisheries for wild brown trout and increasing numbers of wild rainbows. In fact, high water quality and outstanding fish numbers recently prompted the state designate 24 miles of the Upper Colorado as a new Gold Medal fishery. Anglers looking for a trophy fish over thirty inches long should consider this area of the Colorado River. Just in the past couple of years, the Colorado Division of Parks and Wildlife has shocked, measured and safely released multiple brown trout nearly three feet long and weighing in at fifteen plus pounds. Rainbows over two feet long are becoming increasingly common. These are signs of a river that is in very good shape that can support both large numbers of trout and trout of exceptional size. With a solid snowpack, good reservoir levels and a staggering population of trout in several age classes from 12-22 inches, 2016 should be a banner year on the Colorado. Look for good streamer fishing this spring, a huge Salmonfly hatch around Memorial Day and steady hopper dropper fishing through summer and early fall. For more advice on when and where to fish Colorado’s 2016 fly fishing season, contact the experts at the Vail Valley Anglers fly shop. They help with ideas on when to book your guided fly fishing trip or how to catch more fish on your own.